More blogging so I can have something to link to on Goodreads, XD. I read “Regeneration” (the first in the trilogy) for a British history class way back in 2007, and only got around to finishing the trilogy recently, when I saw books 2 and 3 on sale at Bookoff! The Eye in the Door: I wrote a paper on Regeneration that was about the book’s major theme, “Things We Can’t Talk About.” I argued that the severely understated writing style (where everything is hinted or written about euphemistically) was a stylistic choice to match the subject matter: homosexuality, mental illness and post-traumatic stress disorder, not necessarily in that order, before those words existed (or at least existed only as technical terms used by psychologists, unknown to the general population). It was a fun paper to write, because I had to think about to best way to quote something NOT said by the author. 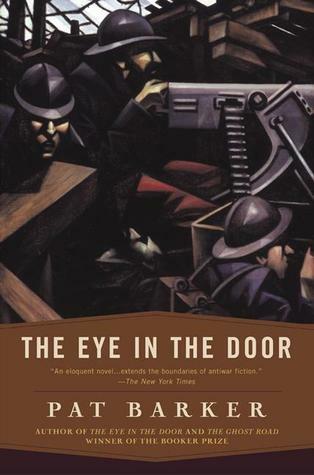 The Eye in the Door mostly follows a character, Billy Prior, who is provocatively blunt and outspoken, as he investigates pacifists in England, a group that was not coy at all about its opposition to the war effort. And yet, the book is written in that same understated style. XD;; So much for my paper thesis. Oh yeah, this is a good book. I feel like I almost don’t have to say this, it sort of sells itself! I still get a lot of pleasure imagining how gleeful my professor must’ve gotten when she assigned “Regeneration” to our class of mostly male poli-sci majors. =D There is a ton of insight in this book, also a ton of history. Pat Barker even lifts some insights from Regeneration to re-use in this book, and I don’t even mind, because they were good insights the first time and they remain so here. Now we go back and forth between Billy Prior and the POV character of the first book, Dr. William Rivers. This book is pretty unstructured – you get the feeling that Pat Barker was writing about whatever she was able to find in the historical record that was the most interesting. In this case, that includes descriptions of Dr. River’s anthropology work in New Guinea an of Lewis Carol’s time spent with his sister Katherine (aka Alice). Woah! She also heavily implies that Siegfied Sassoon, the subject of Regeneration, was manic depressive (or maybe that was The Eye in the Door). o_O Is this true? Again a very well written book, but mostly made me want to read the original historical sources myself. 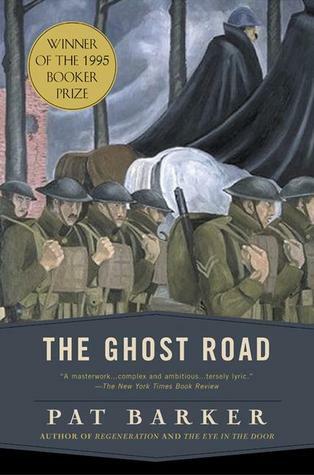 Finally, The Ghost Road is notable because it actually moves the action to the Front, after 2.5 books spent dissecting the situation back in England. Considering that this is part of the historical record, I guess it won’t be too much of a spoiler to say that several major historical characters die, just as the main character of Blackadder dies at the end of Blackadder, after going “over the top” (a phrase that originated in WWI). ;_; RIP.